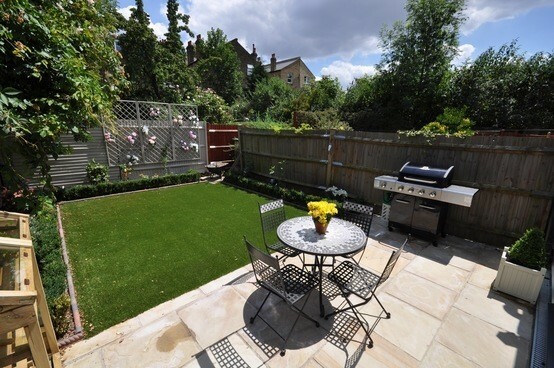 I love the idea of creating an outdoor office for myself and plan to make our outdoor space more appealing by replacing exterior doors and obtaining a quote for a new roof from Findley - The Leading North East Roofing Contractor. As a blogger I usually work from home, mostly sat on the sofa with a laptop on my knee if I'm honest. 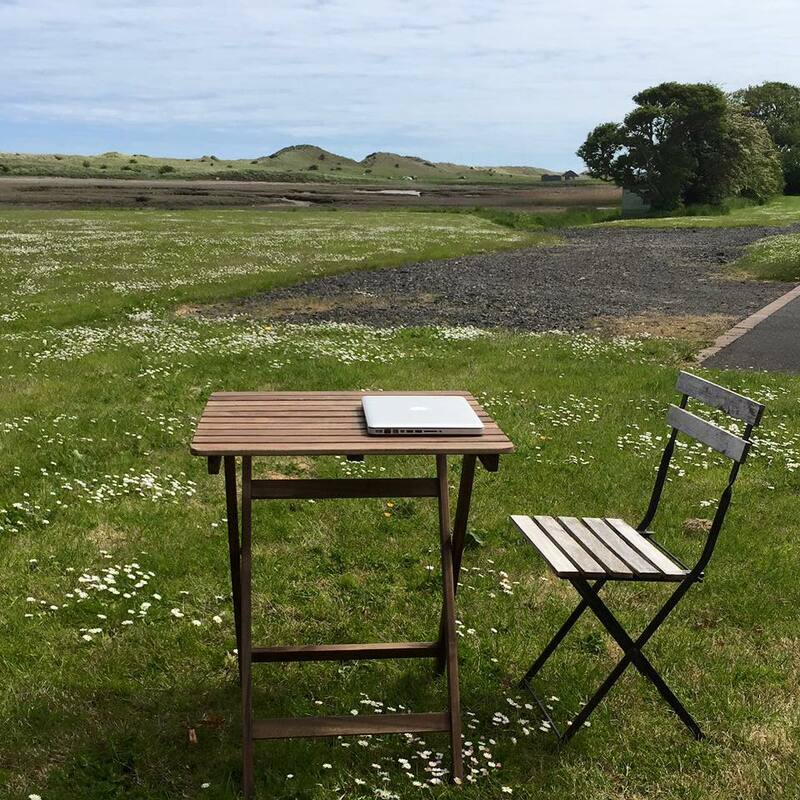 However during our recent stay at Waterside View Cottage the weather was lovely and I decided to set myself up a little home office outside. I have pretty much unlimited data on my phone and used this as a wifi hotspot to connect my laptop to the internet. I have to say the freedom of working outside was truly wonderful and it was lovely being able to sit in the great outdoors as the children played on the grass around me. It also worked out to be pretty productive as there weren't the usual distractions (tv/washing up ect....). Below are a few snaps of our garden now. It is a fairly wasted space if I'm honest as we rarely sit out there. We are lucky though that we do have a fairly large area to work with and at the moment it is pretty much a blank canvas. 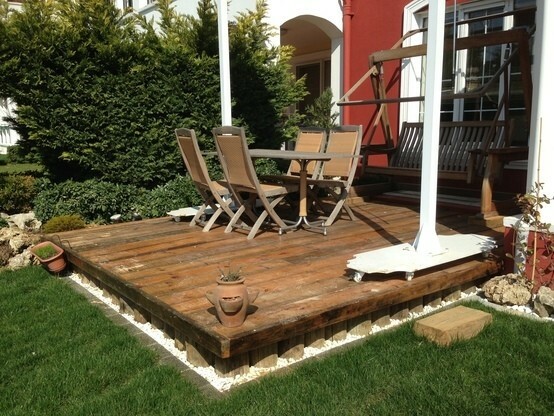 I love the idea of having my office space separate to the rest of the garden - maybe wooden decking or a patio. The seating would need to be comfortable enough for me to sit for an hour or so at my laptop so a high backed chair with support would be a must. I would also require shade to keep the sun from glaring into my eyes and onto my computer screen so a permanent parasol would be a good idea too. I need my garden to be appealing to my children too for the days I am working from home when they are off school. 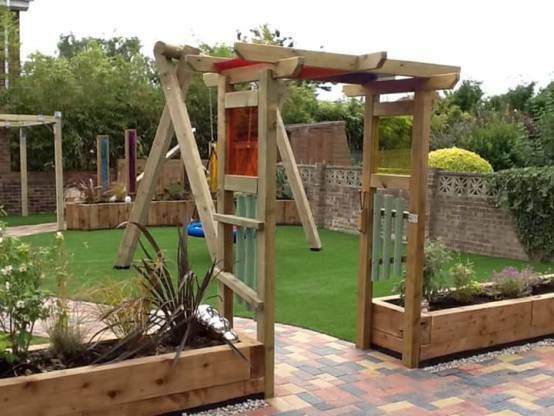 Grass is of course a must and I think permanent play equipment would be wonderful for them too. My children are real beach babies. 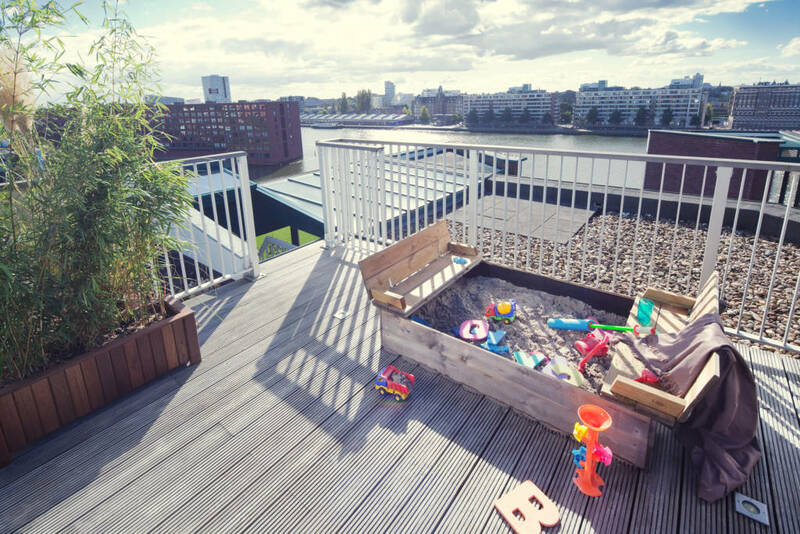 It would be impossible for me to work from the beach so I would love to bring the seaside to us incorporate some sort of sand pit - I am thinking we could probably make our own similar to the one pictured below underneath one of our tree's at the bottom of our garden. 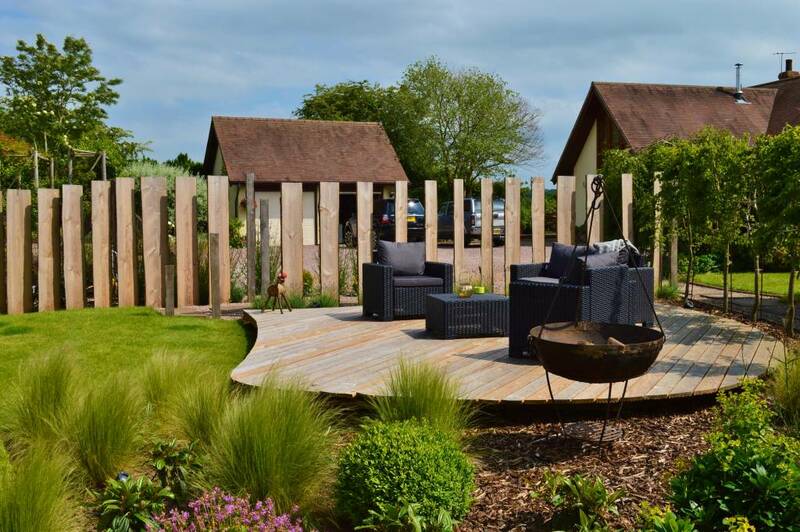 We do have a garage that in a separate block however we need to come into the house to grab our keys so I am also thinking storage built into our garden design would be useful too. I like the idea of a bench that has hidden storage underneath and can see this working at the top of our garden next to our house. Finally, I would love to place a white picket fence with a pretty gate around our garden to keep our future pet dog safe as he sits with me outside and to really establish the area as our own. 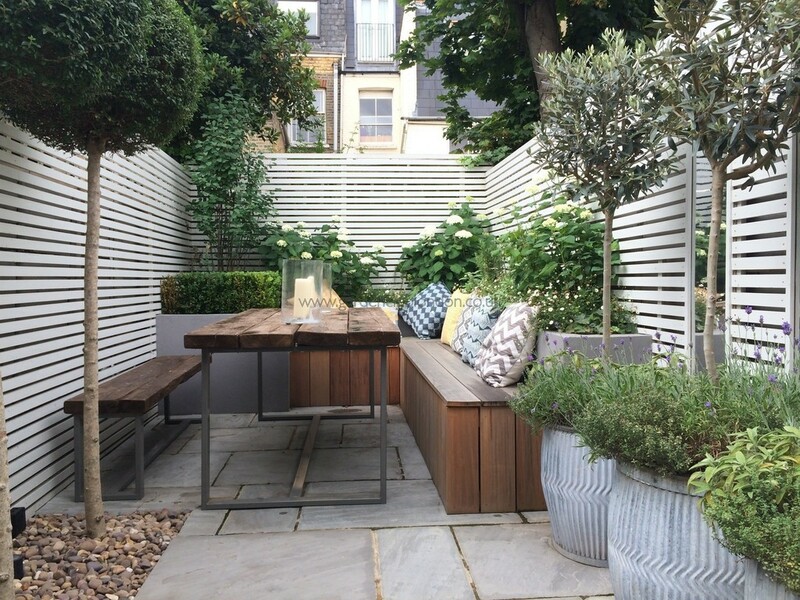 Do you have an outdoor office or have you ever tried working outside? I'd love to hear what works for you.